A hint of rustic, a touch of charming, a lot of style! Who knew a simple thank you card could have so much impact? Your wording is printed in your choice of color and font. 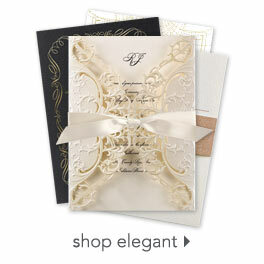 These elegant thank you cards are printed on 100 lb kraft paper. This product features thermography printing. Thermography is a unique printing technique that results in raised lettering you can feel, which adds to the luxurious experience of this printed piece. Envelopes are included.